Lauricidin® is pure Monolaurin (glycerol monolaurate) derived from coconut oil. The same monolaurin received from mother’s milk, saw palmetto, and bitter melon – embraced by both your immune system* and your digestive tract*. One jar is a 4-6 week supply. There is 3000mg Monolaurin in 1 teaspoon. Lauricidin® is free from potential drug interactions and coconut allergens. Health Professional-recommended and 100% Non-Toxic, Pure Nutrient, Lauricidin® is safe for your entire family. Monolaurin is a natural, plant-based medium chain saturated fatty acid extracted from coconut oil that offers unique health-promoting properties*. Monolaurin is a long fatty acid, derived from coconut oil but prepared into lauric acid. Decades of research has demonstrated the germ-killing and disinfectant properties of this natural compound. It should be pointed out that monolaurin is a component also found in breast milk, part of Mother Nature’s immune support that is passed from mother to child and vital to the survival of the human race. Why take something like this when all the antibiotics in use by Western Medicine are killing germs? Well, it’s becoming much more commonly understood that antibiotics will kill the friendly bacteria in the digestive system as well, which can create long term issues. Monolaurin, on the other hand, does not appear to have adverse effect digestive bacteria, but rather only on unwanted microorganisms. Plus, monolaurin can reduce the resistance of germs to antibiotics. Monolaurin is safe – maybe safer than many other food supplements that are designed to boost the immune system. 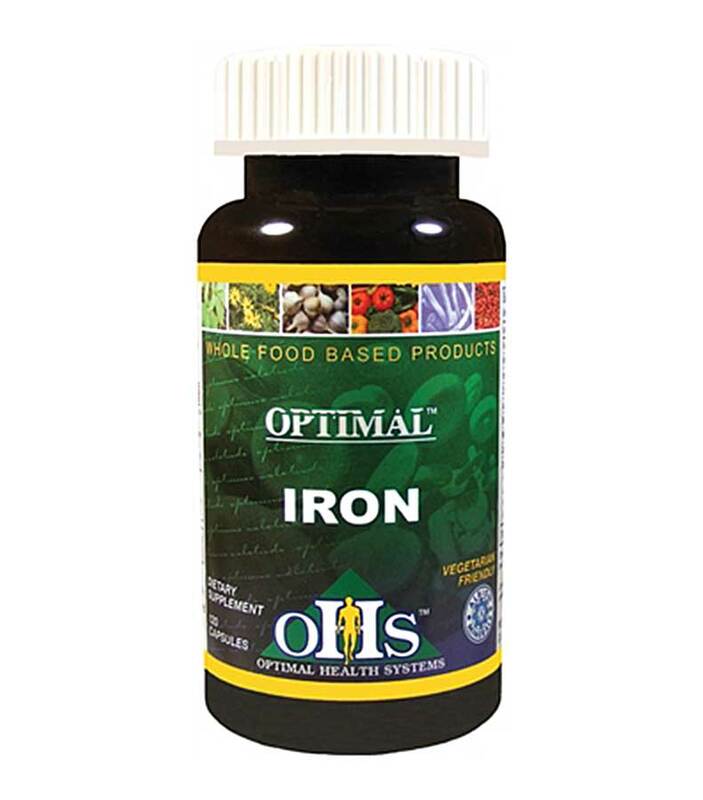 As with any supplement, it is always best to check with your doctor before taking anything. One study showed that while monolaurin was effective against Cytomegalovirus it was not effective against rhinoviruses, the cause of the common cold. There are many anecdotal reports of monolaurin helping combat the flu. Simply place mini-pellets in mouth and swallow with cool liquid. 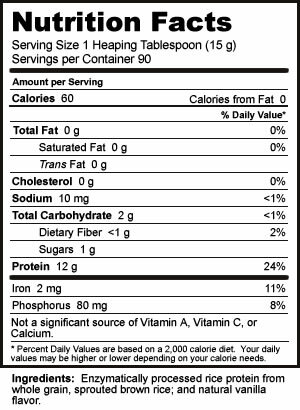 Intake levels vary from 1/4 tsp. to one full tsp. two to three times a day WITH food. Store in a cool, dry area. Take Lauricidin® in small amounts until you reach your level for optimal health and self healing. This could mean from a few pellets to 1-3 blue scoops/day. Always take WITH FOOD or just AFTER your meal. This will ensure that the pellets get digested as food.When traveling by air or ship, you may need to increase your maintenance level.When faced with stress or “coming down with something,” increase the level during these times.Take daily for optimal health and self healing much like vitamins. Do not chew the pellets. Do not swallow with hot liquids.Lauricidin® is a concentrated mini-pellet (~30 mg per pellet) of sn1 (3)-monolaurin. The size and shape of the mini pellets can vary.Lauricidin® is nontoxic and safe for children and pets.Lauricidin® is bioactive, the exact amount that you need for optimal health depends on your diet and genetic make up. Children (3-10 years old) – Do not chew pellets. To be taken with meals. The mini-pellets can be placed in the mouth and swallowed with water or juice. Do not take with hot liquids. For difficult situations try placing the pellets (whole or powdered) into applesauce, pudding, peanut butter, etc. For very young children it is best to start with 1-3 pellets/day for a several days before gradually increasing the amount. The usual initial level of Lauricidin® is increased gradually to twice/thrice daily for a week or two. The level can be further increased thereafter. The maintenance level will depend on effects seen and adjusted accordingly. Adults – Take with or after meals. The mini-pellets can be placed in the mouth and swallowed with water or juice. Do not take with hot liquids. Do not chew or take as a powder. 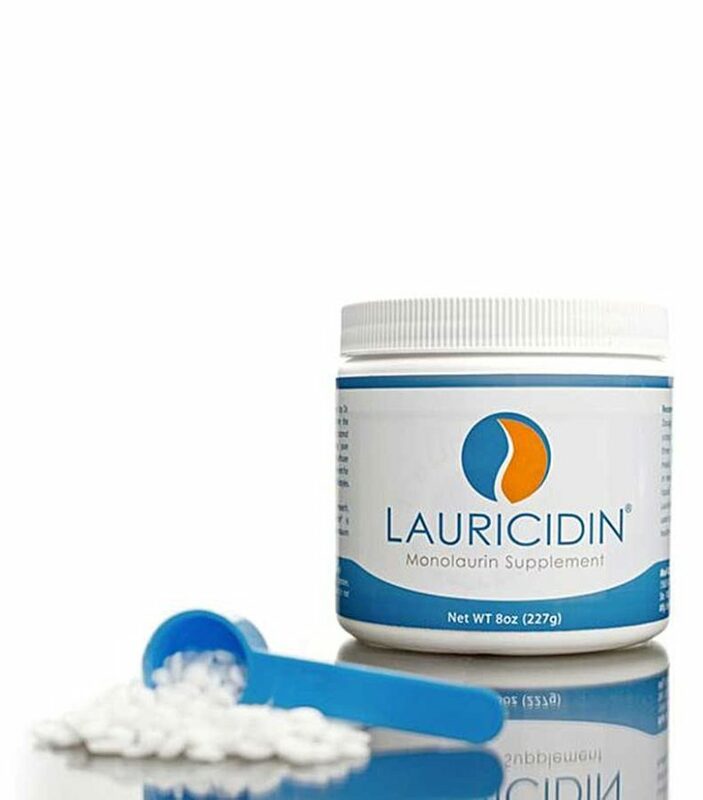 The recommended initial level of Lauricidin® is ~0.75 gram (1/4 blue scoop) or less two or three times daily for a week before increasing the amount.The level can be then increased to 1.5 grams (1/2 blue scoop) one, two or three times daily thereafter.A maintenance level can be 3.0 grams (one blue scoop) two or three times a day necessary for optimum health effects. In stubborn cases this may be increased. 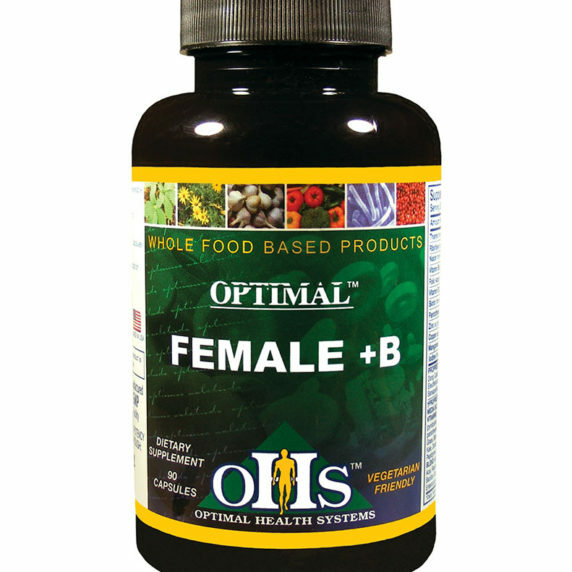 The length of time for taking the supplement is an individual response. 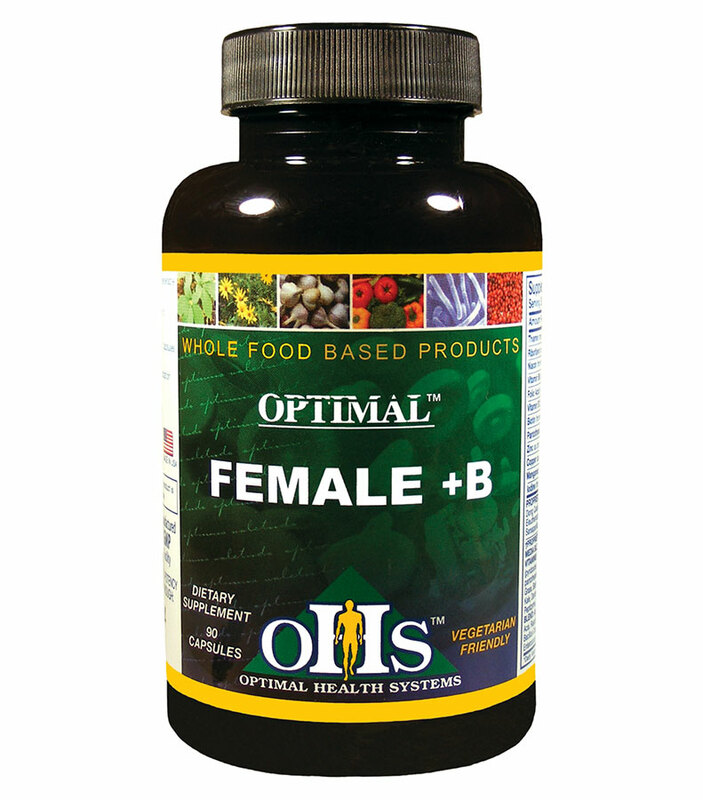 Supplements need to be taken on a continuing basis for better health–much like vitamins. 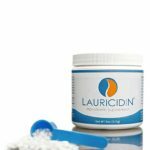 Disclaimer – Information provided by Med-Chem Labs about Lauricidin® or its use is not intended to replace a one-on-one relationship with a qualified health care professional and is not intended as medical advice. Any information given is only intended as a sharing of knowledge and information from the research and experience of Prof. Dr. Jon J. Kabara and scientific world literature. You are encouraged to make your own health care decisions based upon your own research of the subject and in partnership with a qualified health care professional. How much Lauricidin® should I take? Recommended use instructions are provided with each order or specific recommendations may be made by your health provider.“Low and slow”:For individuals ages 12 and older, start with 1/4th of a teaspoon (1/4th of the blue scoop) two to three times a day with food, and slowly work up to 1 teaspoon (1 full blue scoop) two to three times a day with food.We recommend not exceeding 12 teaspoons (12 full scoops) per day and always to start low and increase intake slowly.Children three years and older may start with as low as 1-5 pellets and work up the intake more slowly. Why should you not chew Lauricidin® or not take it with a warm liquid such as tea or coffee? Lauricidin® is a pure lipid extract and has a natural bitter, soap-like taste to it. We recommend simply washing down the Lauricidin® pellets with cool water or juice which is associated with little to no taste.Lauricidin® containers may contain varying levels of residual powder that may leave a very mild taste in the mouth that is not harmful. Are there any side effects when taking Lauricidin®? Lauricidin® is nontoxic. If starting levels are too high, a patient may experience short-term (a few days to a few weeks) exacerbation of mild symptoms such as headache, joint and muscle pain, body aches, acne, itchy skin, mild rashes, skin flushing, sore throat, general malaise, sweating, chills, nausea, or other symptoms. This mild and temporary response may be likened to what is known as a Jarisch-Herxheimer reaction.These symptoms are normal – and even healthy. Questions should be directed to your health professional and your intake level may need to be lessened.Warning: Any serious symptoms such as cardiac irregularity; breathing difficulties; chest, lung or throat constriction; significant swelling; or other severe symptoms should be given immediate medical attention. Can I take Lauricidin® if I have a coconut allergy? Yes, Lauricidin® is the purified lipid extract from coconut oil and can be safely consumed by individuals with a coconut allergy. Does Lauricidin® Contain Other Allergens, Additives or Excipients? Lauricidin® is free of wheat (gluten), soy, dairy, or corn-derived ingredients. It is also free of salicylates and contains no animal-derived ingredients. Can Lauricidin® be taken with other supplements or medications? Lauricidin® can be taken with other medications and supplements, but not all interactions can be predicted. It is best to consult with your health professional. How long should I take Lauricidin®? Lauricidin® is intended to be taken daily like a multi-vitamin for at least three-six months at the recommended intake to support general immune health* and overall wellness*. Can Lauricidin® be used when pregnant or breastfeeding? While Lauricidin® is nontoxic, it cannot be recommended to be taken under these circumstances. Studies have not been carried out for these conditions. You are always advised before taking any supplement to consult with your health professional when pregnant or breast-feeding. What is the difference between Coconut Oil, Lauric Acid, and Lauricidin®? Coconut oil is the edible oil harvested from the meat of mature coconuts (Cocos nucifera). 40-60% of coconut oil is comprised of the 12-carbon medium chain saturated fatty acid known as lauric acid, a triglyceride.Lauricidin® is made by combining lauric acid from coconut oil with a plant-based glycerol (non-soy) creating a pure ester known as monolaurin, a monoglyceride. How long until one may notice a difference while taking Lauricidin®? 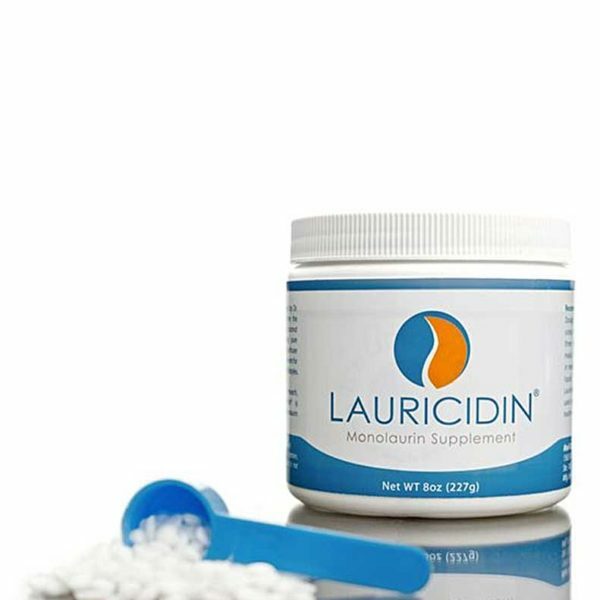 Lauricidin® is intended to be taken for long-term support of general health and wellness and not intended to treat, diagnose, cure or prevent any disease.It may take a few weeks or months to work up to the maintenance intake of one teaspoon (1 full blue scoop) three times per day.When taken on an ongoing basis, Lauricidin® may help support a strong immune defense*, support a natural balance of healthy bacteria*, and promote a healthy balance of yeast*. 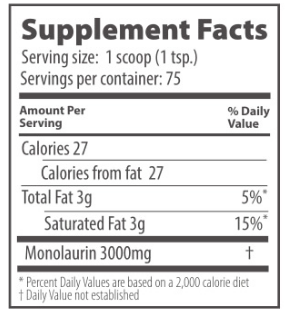 How many grams of monolaurin are in one teaspoon (1 scoop) of Lauricidin®? 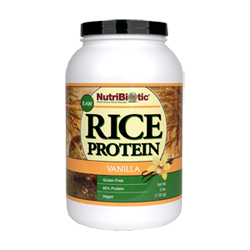 One teaspoon (one scoop) contains approximately 3g (3000mg) of monolaurin. Can I Take Lauricidin® with Probiotics? Yes, Lauricidin can be taken safely with probiotics. Are monolaurin in capsules the same as Lauricidin® pellets? No. The usual 300 mg capsule contains in addition to 300mg monolaurin, a base of inosine 7.5 mg and calcium-phosphate 106 mg with inert ingredients: dicalcium-phosphate, cellulose-powder and silicon-dioxide.Lauricidin®, on the other hand, is the purest monolaurin commercially attainable and is without any fillers or allergens. Do you sell Lauricidin® to Health food stores? We do not sell to large health food store chains nor do we sell to other supplement vendors. 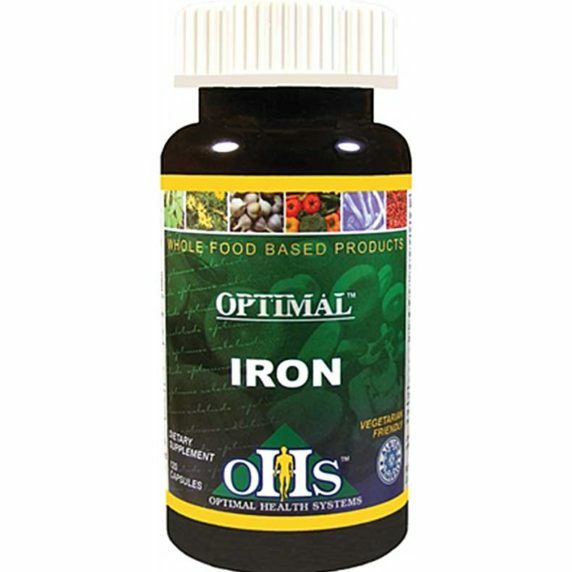 Our products may be found in some health food stores that meet our criteria for being able to offer product support. This policy was instituted so that the proper information is given to users of Lauricidin®. Our objective is to provide the correct information and service in a timely manner. What is the shelf-life of Lauricidin®? The shelf-life of Lauricidin® is two years upon manufacture. Many natural products have an expiration date of just one year.We are not able to provide specific health advice over the phone. Specific health questions should be directed to your health provider. Does Lauricidin® Stay Stable Under Heat Exposure During Shipping and Delivery? Yes, Lauricidin has a high melting point of roughly 140 degrees Fahrenheit and will not become rancid. It remains stable and active under temperature exposures during shipping and delivery.The same “low and slow” Lauricidin® approach is sufficient to support your wellness needs unless special intake instructions are recommended to you by your health provider.Health is a journey, not a race!